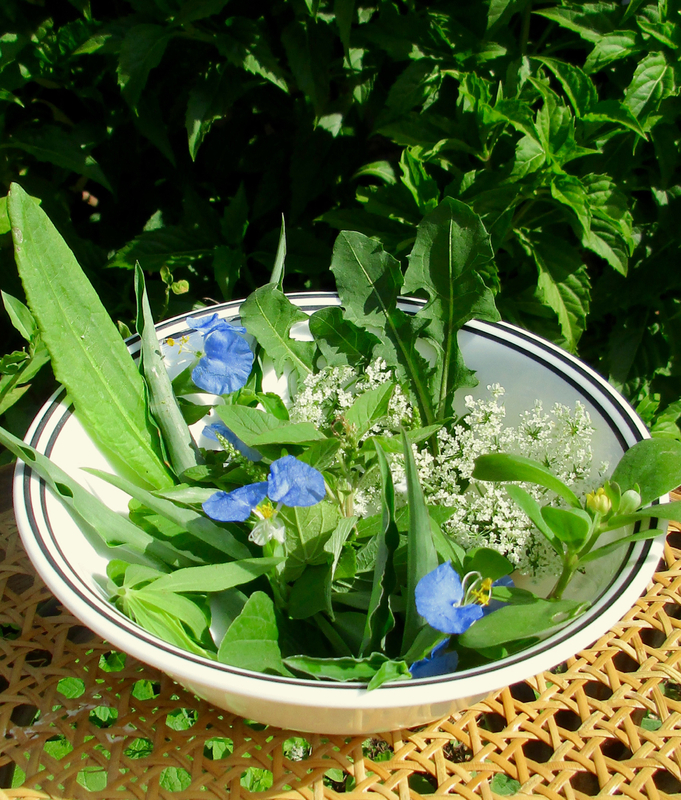 Aug ’16- Tossed Salad: Edible Weeds You’ve Been Throwing Out! Mark Vorderbruggen, aka Merriwether, spends his weekends exploring the wilds of Houston. Since the Fall of 2008, he’s been teaching teaching edible wild plant classes at the Houston Arboretum and other parks and nature preserves around Texas. His website, http://www.foragingtexas.com/, contains the names and pictures of edible wild plants found in the surprisingly large tracts of wild land around Houston and other areas of Texas, though most of these plants can also be found nationwide and even worldwide. Each plant has a post listing when and where to find it, which parts are edible, and how to prepare them plus other useful information. In August, he prepared a presentation especially for us about common garden weeds that are edible and even what they can tell us about our garden’s soil. I’d asked him if he knew about that and he thought that was interesting so took the time to research and add that information to our presentation. Although some will grow anywhere. The plants were organized by mild, bitter & “spinachy.” For salads & the like, Merriweather recommended you mix the strong with the mild to your personal taste. Because foragingtexas.com is filled with pictures & details on each plant, I’m not going to recreate that here. But see the list of the plants and what they tell you about the soil below. Hyperlinks are coming soon. Included in the details of each plant is info on any inedible mimics and how to tell the difference so you can be certain you are selecting an edible. Mark shared his method for growing desirable weeds in his yard which is filled with beds of natives and very little lawn. He places branches in the ground in the beds he wants to grow in and encourages birds to perch there & poop (which will also enrich the soil). Do not put out a feeder or you will mostly get the bird sunflowers, millet & whatever else is in the bird seed. Do put out a bird bath to help attract them. Then watch what sprouts & “weed” anything you don’t want. Golden Guide to Weeds – You know those pocket guides from the 50s & 60s, weed edition by Alexander Martin. Merriweather has a curated selection at the Foraging Texas Amazon Store. A small commission is earned from each purchase from this link to help support the website. The plants & what they may tell you about the soil. See Foragingtexas.com for pictures, descriptions, how to eat, look-alikes to watch out for & more. Inedible mimics of chickweed Scarlet Pimpernel & Horseherb likes dry compacted soil & shade (much of my yard) , although I don’t think they look much like chickweed.